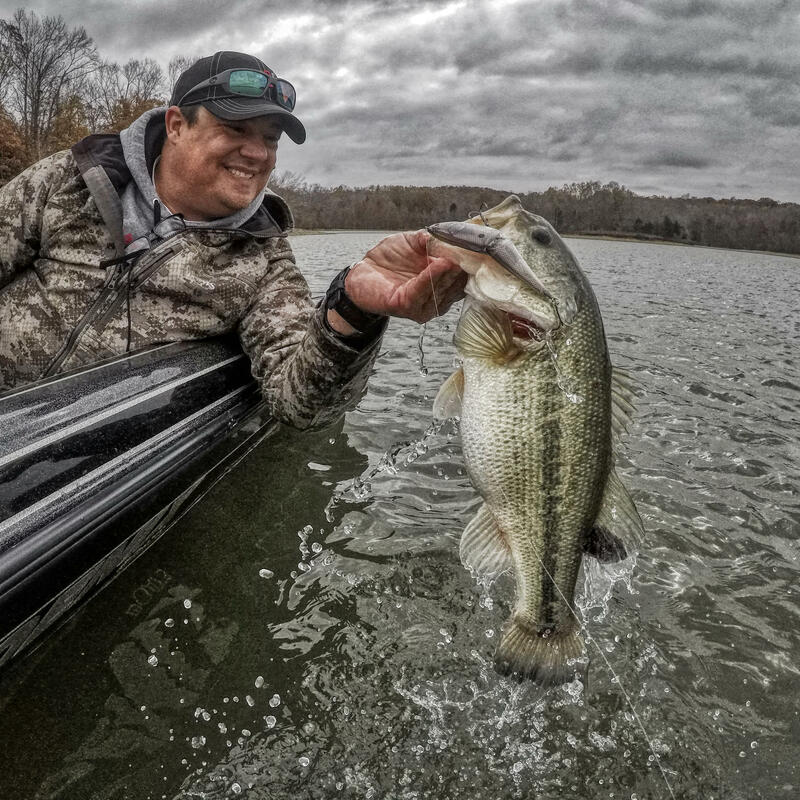 It's part glide bait and part jerk bait and that makes for a good bass fishing swimbait. 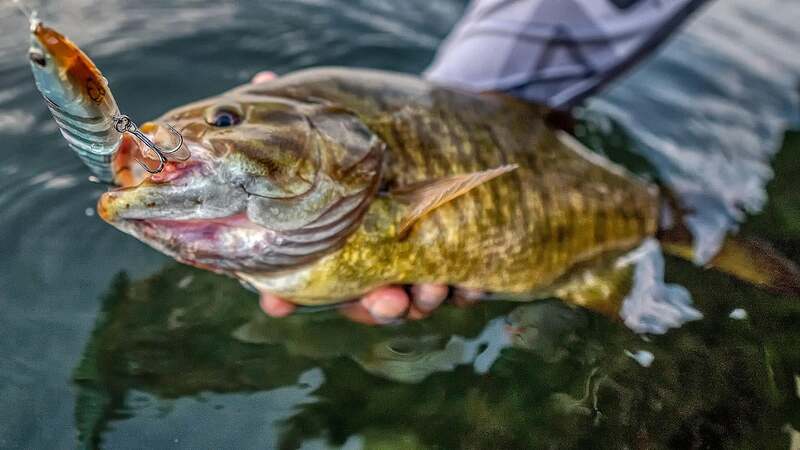 I've been playing with swimbaits more and more every year for the last 10 years or so, and I'm always interested to see if new baits have any new nuances about them that will make them another must-have presentation in the arsenal. The last few months I've been playing with the IMA Glide Fluke off and on and finally figured out the situations for which I like this bait. The Glide Fluke was designed by angler and guide Michael Murphy who spent years designing lures for SPRO and more recently IMA and Reins. 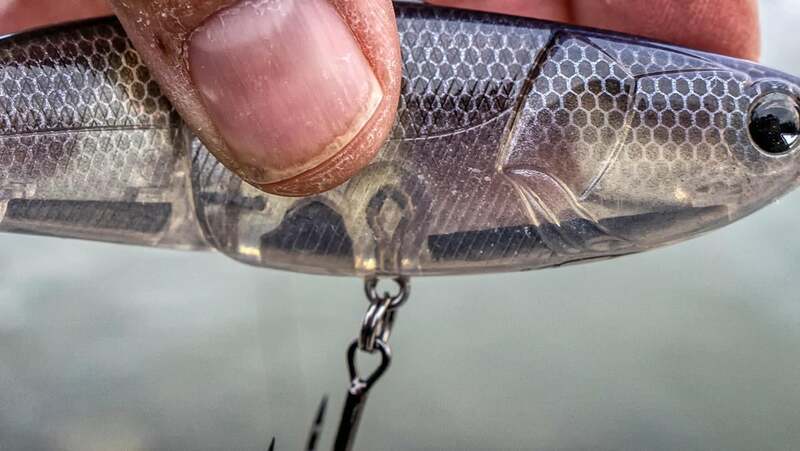 Murphy was looking for a glide bait more geared toward fishing the blueback herring lakes around him in South Carolina as well as other applications in bass fishing where a big bait that acted more like a soft jerk bait were advantageous to anglers. The result of his development is a unique glide bait that I consider somewhere between a traditional glide bait and jerkbait. What I've found with the Glide Fluke are two things that make it unique. The hinge allows for it to get a lot of movement when you impart some action to it. The glide is not as wide and pronounced as some other glides. But it swims with a more natural S-wave orientation. But it can be jerked like a jerkbait and do some real abrupt turns and sweeps back on the retrieve. 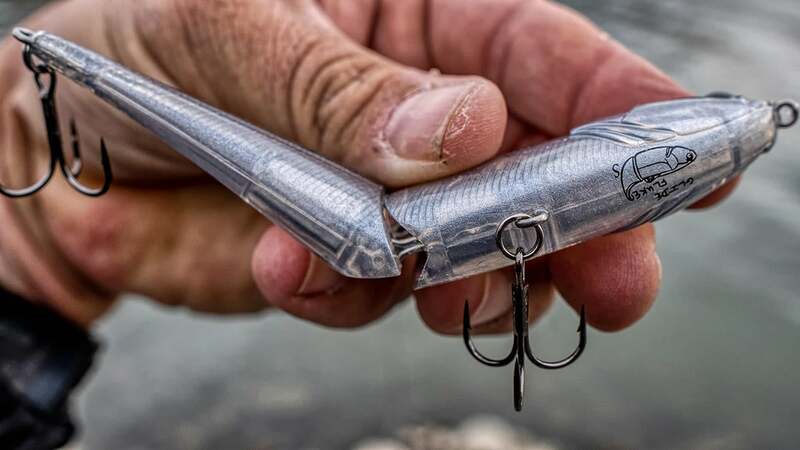 While it can't achieve that same wild action as a soft jerk bait can, it is weighted very well so that it keeps from rolling to much on twitches. 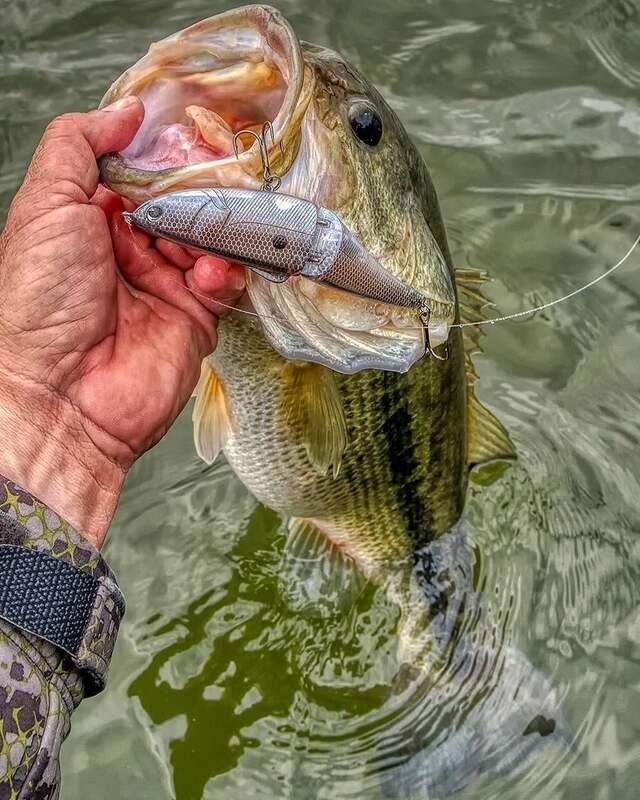 So you can get in a rhythm and work it fast just under the surface a lot like a fleeing shad. I have had some good days already doing that on windy banks where fish were ambushing bait blown in with the wind. But I've also had some good days jerking it around slower and deeper. I have been playing recently with ultra slow retrieves with a pull and twitch cadence and pausing a lot to let the bait get down to depth. I have caught some big ones on it already, and you will develop a feel for how to work the bait to make it look most natural in the water. You can of course just reel it in straight or with hard handle turns but I've had more fun playing with a twitch and pause. I actually think it's easier to work fast up on the surface than it is to fish deep and slow because I'm not always exactly sure what the bait is doing unless I just straight reel it when it's down at depth. The larger size (7 inches) swims really well but surprisingly, so does the little one (5 inches). Often times with glide baits, when they make a smaller size, they lose a lot of their action and tracking, especially on pauses and twitches. 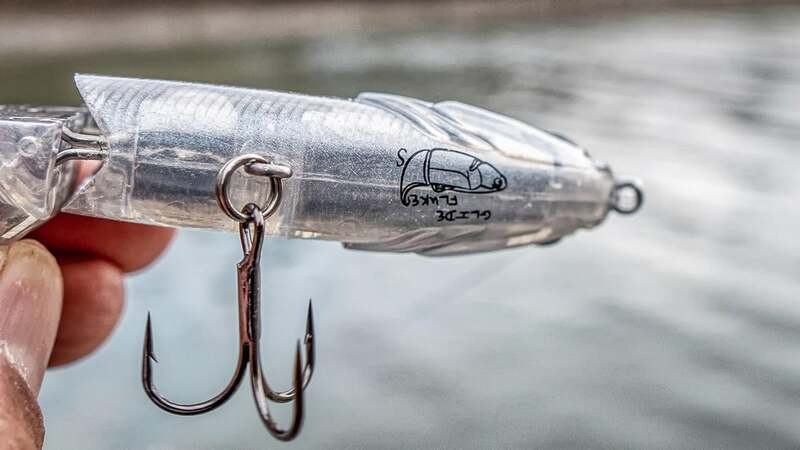 But I'm actually equally attracted to this smaller sized bait and working it more like a larger jerkbait for the same bass I would catch with a traditional jerkbait. I'm looking forward to throwing it more in the prespawn, but I will be fishing it all winter based on what I've already seen with it this fall and early winter. The 4.9-inch model weighs roughly an ounce while the 7-inch model weighs 2 1/2 ounces. They are $14 and $18 respectively which will make them attractive to a lot of anglers. I've caught several bass on them with the stock hooks which seem adequate on heavier line. The hardware on the baits is solid and the paint jobs are really good. I'm really fond of Ghost Blue Gizzard and Chrome and the Bone is nice too as well as Natural. And I think the bluegill color will be fun in the spring and late winter. You can find the IMA Glide Fluke on tacklewarehouse.com as well as other retailers that carryIMA lures.